Get binaries for Windows. You can either copy the postgresql folder (minus the data folder) from an existing PostgreSQL install, or just download the PostgreSQL binaries from PostgreSQL Windows. Make sure to choose the zip archive. 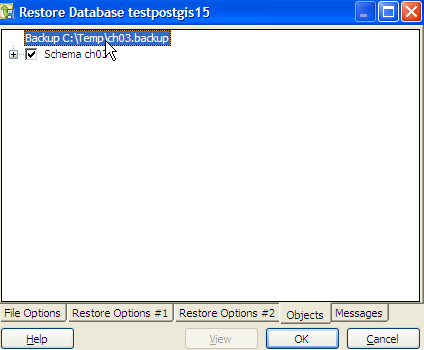 Below is the script that will start a PostgreSQL server and clicking the enter key will shut the service down. This is one we were using as part of a self-contained devleopment kit running PostgreSQL 9.0 beta. We chose to run on a non-standard port (5439 so we know its 9.0 server). 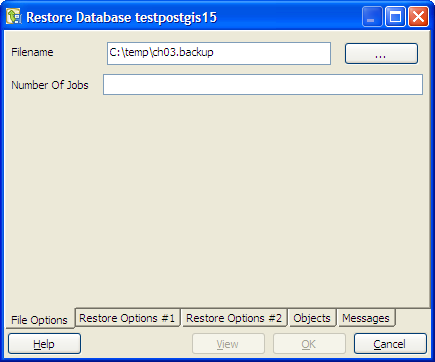 To initialize the database for the first time, you will want to run the remarked out initdb line. You only need to run once. From then on you can carry the server on USB device if you want and launch as you wish. Clicking enter in the window will shut it down. 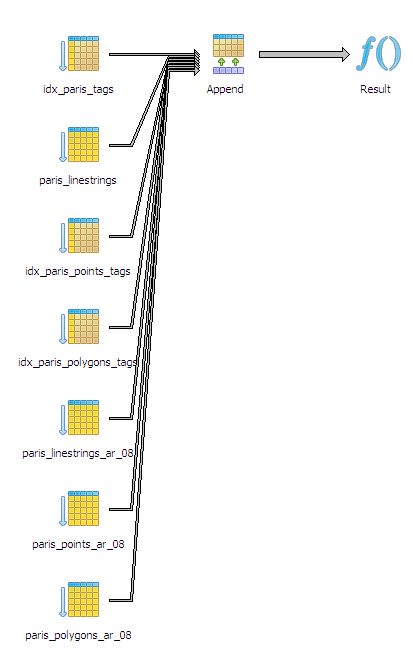 The assumpution of the script is that its in the root of your unzipped PostgreSQL folder. The %CD% returns the folder path of current directory and %~dp0 returns folder path of script. As Tom pointed out the original doesn't handle spaces and only works if you are double-clicking on the batch file. Better solution. ECHO "Click enter to stop"
One of the benefits of slaving away trying to create real world data examples, is that then you can use them to demonstrate totally unrelated topics, such as doing artistic things with EXPLAIN PLANS. In our explain plan, we'll be using example data from this chapter 3. For those who are not familiar with explain plans, explain plans are in a nutshell a description of how a database planner is strategizing how to complete a query. They look like trees because the master plan usually involves subplans. Any database worth its weight has such a thing though they may go by slightly different name - PostgreSQL, SQL Server, IBM DB2, Oracle, MySQL, Firebird, etc. PostgreSQL's flavor of it is fairly detailed as far as databases go. 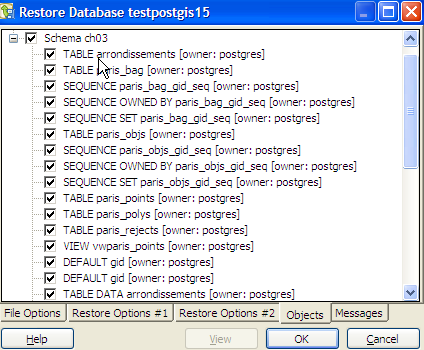 In these examples, we will demonstrate an explain plan involving inherited tables as well as using hstore columns and indexes on those. The plan as you can see forms a tree. "Filter": "((tags ? 'tourism'::text) AND (ar_num = 8))"
The XML in itself is very useful because you can navigate it with XML viewers, or the built-in XML viewers in IE and Firefox. They are also fairly easy to stylize with with XSL. Index Cond: "(tags ? 'tourism'::text)"
Filter: "((tags ? 'tourism'::text) AND (ar_num = 8))"
Stay tuned for our next parts when we demonstrate how to add a little spice to these with some basic web scripting techniques. A text string is composed of n number of trigrams which in PostgreSQL is displayed as an array of 3 character text values stored which consist of all 3 character consecutive groups that can be formed from the text. You can inspect this with the show_trgm function. It's probably easiest to get a sense of what they are by looking at some. Below are some texts in random order with accompanying trigrams for each text. We chose only locations of less than 10 characters so that we could easily display the trigrams. One of the simplest and my favorite is that for Leo. Before we can take full advantage of these functions and opertors, we need to put an index on our text field. 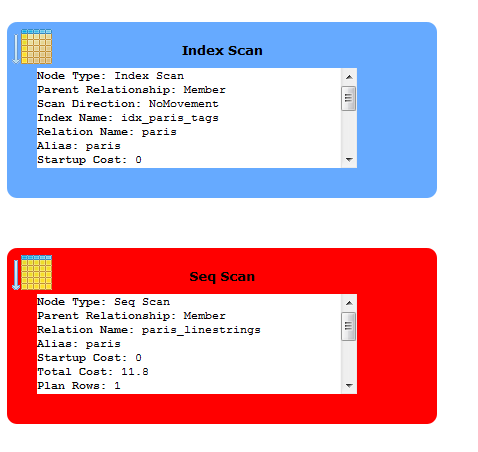 pgtrgm supports both GIST and GIN very similar in concept to the TSearch. The main difference between the two indexes is that GIST is slower to query, but faster to build and GIN gives better search performance but slower to build. for our relatively small dataset of 35,000 some odd records, the performance between the two is about the same and took between 1 and 2 seconds to index all entries, with no real noticeable difference between using GIST or GIN in index speed on our PostgreSQL 9.0 beta install. Just like soundex, the % operator and similarity functions are case insensitive. The pg_trigram approach seems especially good at catching misspellings and allows you to easily control your tolerance for a misspelling. It doesn't suffer from the same issues fuzzystrmatch does when dealing with unicode characters, but will also not catch similar pronunciations as effectively. Now to use we can use the % operator in conjunction with the similarity function or by itself. The similarity function will always return a number between 0 and 1 which is a measure of how similar two text strings are ; with 1 having same set of trigrams. Let us try a similar example to what we tried with soundex. What would happen if we used % without the added similarity filter? It would behave as if the similarity filter were set at the default weight. To see the default weight we use this statement. As mentioned. Trigrams are good for catching misspellings, but not as good as soundex and dmetaphone for catching same sound words spelled differently. To demonstrate, if we picked our El Cajon example from before where our dmetaphone excelled and return El Cajon. It is obviously not as good as our dmetaphone. For this exercise and subsequent exercise, we are going to create a simple web form interface that has a few parts. A textarea box for you to paste the JSON/XML/whatever planner output. For first phase we'll just support JSON. A button for you to click to render your output in breathtaking icons and colors. For those that are impatient, our little interface can be tried here PostgreSQL JSON Explain Plan Viewer. We left a snippet of JSON in the text area for easier testing. That JSON can be replaced with any PostgreSQL Explain Plan JSON output. Now we come to the harder part of rendering our mouth watering explain plan view. For this piece we have chosen to use JQuery and a JQuery plugin called corner plugin, to get some stylistic rouned corners. Since we are lazy programmers who lack any artistic ability, we borrowed some of the images used for explain plans from PgAdmin III project. 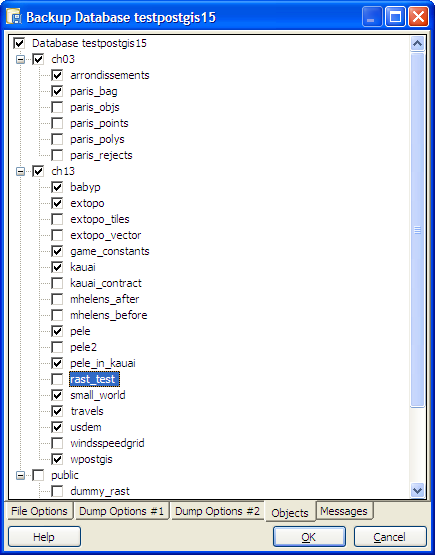 The problem with borrowing those icons, is that we needed them in PNG or JPG format, but PgAdmin source code has them in xpm format in the \include\images folder of the project. ImageMagick, another great Apache style licensed open source toolkit, came to our rescue to convert XPM -> PNG. The trick we used was to use ImageMagick mogrify commandline tool. Nodes will look like below when expanded. We only show 2 in this picture since it takes up a lot of space. Have a drawPlan function -- that parses JSON, and then calls a subplan function which recursively calls itself for each plan node that has plans. For the detail summary we defined a css class pgplandetail we stylized in the .css file. Then we use JQuery's slick ability to apply styles to a whole set of objects with same class -- to hide and unhide detail. The above snippet hides all objects that are of css class pgplandetail. For the icons we assumed we could get away with going by the icon names (more or less) and they would have names similar to the plans except replacing space with _ and putting an ex in front. This does not often hold true, so you may need to rename the images. + pname + "childs'></table></td><td><div id='"
+ "' class='pgplan' style='background-repeat:no-repeat;background-image:url(images/" + getPlanImg(pgplan) +")'>"
+ " <br /><div class='pgplandetail'>"